Helen Pickering, beloved wife of the late Eric Pickering, passed away peacefully into the arms of our Lord on Sunday, October 7, 2018 at the age of 87 years. Mom was born on October 10, 1930 to Thomas and Rosalia Grochmal. She grew up on the family farm just outside of Thorhild, AB with six siblings and learned the value of family and a good day’s honest work. She met Eric and they were united in holy matrimony on October 27, 1956. They resided in the Calgary area until 1970 when they fell in love with the Crowsnest Pass and decided to move to Coleman with their three children. Mom was a kind, loving and very spiritual woman. She was a very devout Catholic and was a member of the Catholic Women’s’ League for over fifty years. We will remember Mom for all her fabulous Ukrainian and Polish dishes and her famous apple pie and carrot cake. Mom was a hard-working woman who spent years working for the Crowsnest Pass School Division as a custodian. Her main focus though was her family. She did everything she could for us. 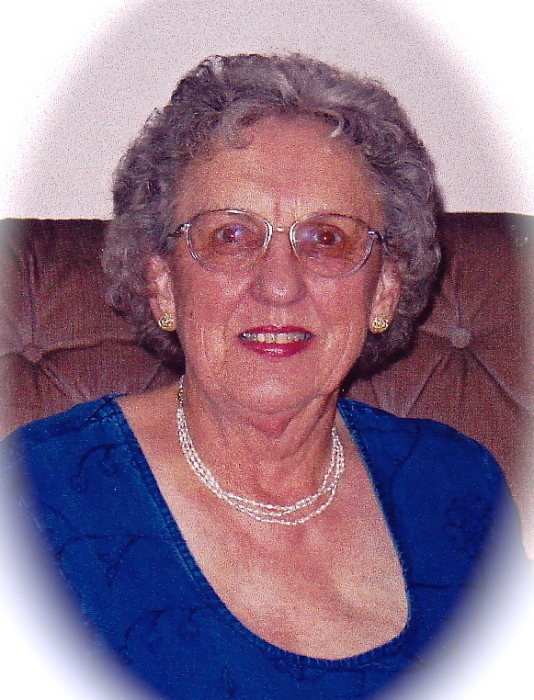 She was a dedicated volunteer for the Crowsnest Pass Hospital for numerous years. She was also a loving caregiver to Dad all through his illness. After Dad’s passing, Mom made the decision to sell the family home and move to Lethbridge where she remained until her passing. We love you Mom and you will forever be in our hearts. You fought a long, hard battle; you are now at peace and back together with Dad and your family. Rest in peace, Mom. Helen is survived by her sons and daughters-in-laws, Kevin and Jeanne and Paul and Victoria; her daughter and son-in-law, Rosanne and Stan; grandchildren, Maria, Nolan, Dan and Courtney, Andrea and Ted, Kristin, Erica, Braydon, Tyler and Sam, Jason, Jocelyn, Tylr and Courtney; great grandchildren, Bodie, Chase and Riley; sister and brother-in-law, Jenny and George Pura; brother and sister-in-law, Edward and Lorene Grochmal; as well as numerous nieces and nephews and many friends she made throughout her life. Helen was predeceased by her loving husband, Eric on August 1, 1999, and her siblings, Mary, Sophie, Frank and Millie. The Memorial Service will be held at St. Basil’s Catholic Church (604 – 13 Street North, Lethbridge, AB T1H 2S7) on Saturday, October 13, 2018 at 1:00pm with Deacon Frank Peta officiating. A Graveside Service will be held at the Coleman Catholic Cemetery in the spring of 2019. Memorial donations will be gratefully accepted by the Alzheimer Society of Calgary (#800 – 7015, Macleod Trail SW, Calgary, AB T2H 2K6, or www.alzheimercalgary.ca). Condolences may be registered at www.fantinsfuneralchapel.ca.